Established in 1916, Gibson-Thomas Engineering has over 100 years of multi-discipline consulting experience behind them. In addition to consulting, they also offer management and design services for a wide variety of applications, including areas of roadway, bridge, water distribution and treatment systems, surveys, hydrology and hydraulics for bridge structures, environmental studies, and more. Their breadth of experience is certainly impressive, but you wouldn’t have been able to tell that from their previous site. 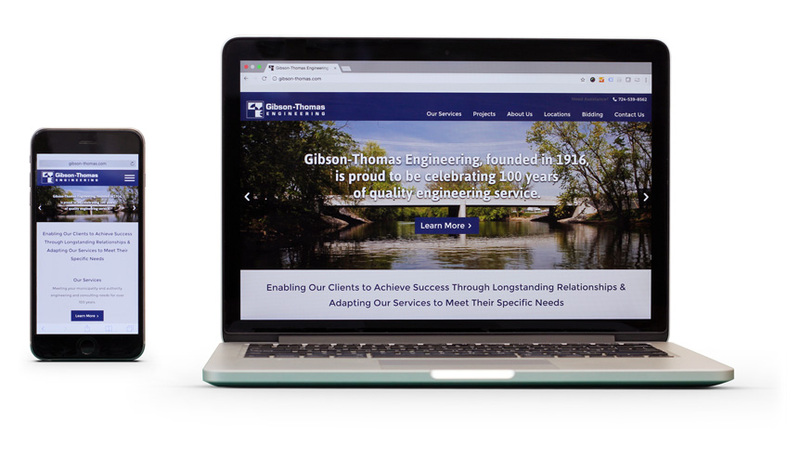 With a new, responsive design on the WordPress CMS, Gibson-Thomas now has a website worthy of their work. Check out the new Gibson-Thomas.com! It showcases their services and projects front and center with descriptions and photography. Plus, the user-friendly admin area of WordPress means the Gibson-Thomas team can update the site moving forward. Take a look at the new face of Gibson-Thomas Engineering! If you’re interested in a little more background and detail, be sure to check out the case study.